Home » In The News » Who is Your Man of Steel? 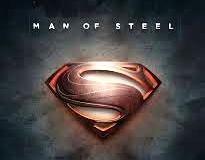 Who is Your Man of Steel? Friday, May 31, 2013 (Fort Myers, FL) – Saks Fifth Avenue at 13499 U.S. Highway 41 S located in the Bell Tower Shops in Fort Myers is calling for essays on “Who’s Your Superman?” To enter, write a short essay on who your Superman is and why then submit to Raimonda_Childress@s5a.com or visit the Saks Fifth Avenue in Fort Myers to enter to WIN! A drop box will be set up in the Men’s Department beginning Monday, May 20, 2013 – look for the Clark Kent mannequin! The store associates and managers will choose the winners. The winner will be announced on June 13, 2013 at 6pm in the Men’s Department at Saks Fifth Avenue in Fort Myers. During the Father’s Day weekend June 13 through June 16 Saks will give 5% of their proceeds to St. Jude’s Children’s Hospital. Winner 1 will receive: A shirt for your Superman valued up to $250.00 (in stock only shirts) along with four tickets to the superman movie accompanied by dinner at Cantina Laredo located next to Saks. ($100.00 gift card located next to Saks) plus a $25.00 gift card to BestBuy! Along with two tickets to the Superman Movie accompanied by a $25.00 Gift card to Grimaldi’s Pizza at Bell Tower Shops. Plus a family hair care & sun care basket. Winner 3 will receive: 2 Tickets to the Superman movie accompanied by a $25.00 Gift card to Mimi’s Café located next to Bell Tower Shops. Plus a family hair & sun care basket. In addition, three other essays will receive honorable mention, accompanied by a certificate and token of appreciation. Saks Fifth Avenue and The Bell Tower Shops invite the community to attend the SPECIAL SUPERMAN, Man of Steel EVENT at Bell Tower on June 13, 2013 from 6 p.m. to 8 p.m. A behind the scenes look with water FX crew. See the movie preview, get an up-close look at movie memorabilia from the crew and enter to win prizes! For additional details on all the excitement and contest details email Raimonda Childress at Raimonda_Childress@s5a.com or call 239.454.2301. The Saks Fifth Avenue family in Fort Myers looks forward to reading all of the wonderful essays and celebrating with the winners!